Lenovo – a Chinese multinational computer technology company has noiselessly launched a new A-series smartphone, the Lenovo A5000, in Nigeria. Lenovo A5000 is a pocket friendly Android Phablet which features a 5″ HD screen with 1080 x 1920 pixels powered by an enormous 4000mAh battery that delivers extra-long life. Before we jump straight to the full Lenovo A5000 specifications, you might be interested in seeing the device key features. The Lenovo A5000 is designed in a well-shaped slim body measuring 71.4mm x 9.98mm x 140mm and weighing 160g (0.3 lbs) in the comfort of your palm. Lenovo also claims that the handset features rain and splash-proof nano coating screen protection which is a plus to the A5000 in its stride. The stylish smartphone flaunts a 5″ HD screen with 1080 x 1920 pixels that makes everything appear clearer and sharper. It also has in-plane switching (IPS) offering a pixel density of 300ppi for nearly 180° of wide-angle viewing. Plus, with its ergonomic, rounded shape, the A5000 sits comfortably in the palm of your hand. 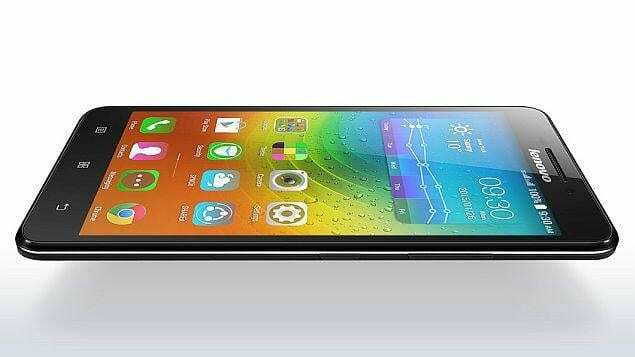 The Lenovo A5000 packs an 8-megapixel rear camera with LED. With selective autofocus control and several other cool features, this snapper should do a great job of capturing sharp, clear photos and video images you will like to keep. There is an equally impressive 2-megapixel fixed-focus shooter on the front of the Lenovo A5000 for nice selfies and video calling. Onboard storage on the phone is 8 GB – enough space for you to store hundreds, possibly thousands, of photos and other files. What’s more, the front camera makes video chatting easy and fun. A USB OTG (On-the-Go) feature enables you connect the phone to external storage devices, including a hard drive, as well. Under the hood, the Lenovo A5000 is equipped with a powerful Quad-core processor to make operations a breeze. The Cortex-A7 chip, which is paired with 1GB of RAM, is clocked at speeds of up to 1.3GHz and backed by a Mediatek MT6582. The Lenovo A5000 runs on Android 4.4 KitKat operating system. For connectivity and communication, the phone supports Bluetooth, 3G and Wi-Fi. It packs a Non-removable Li-Po 4000 mAh battery with a rated talk time of up to 35 h (2G) / up to 17 h (3G) – enough for an average working day. Lenovo A5000 is now available in Nigeria. You can now buy the sleek smartphone at leading online stores in Nigeria. Lenovo A5000 Price in Nigeria starts at around N27,000 depending on your location and store in the country.